In terms of what arrived with your printer and any pre-installed cartridges, I would suggest contacting the manufacturer directly for advice. 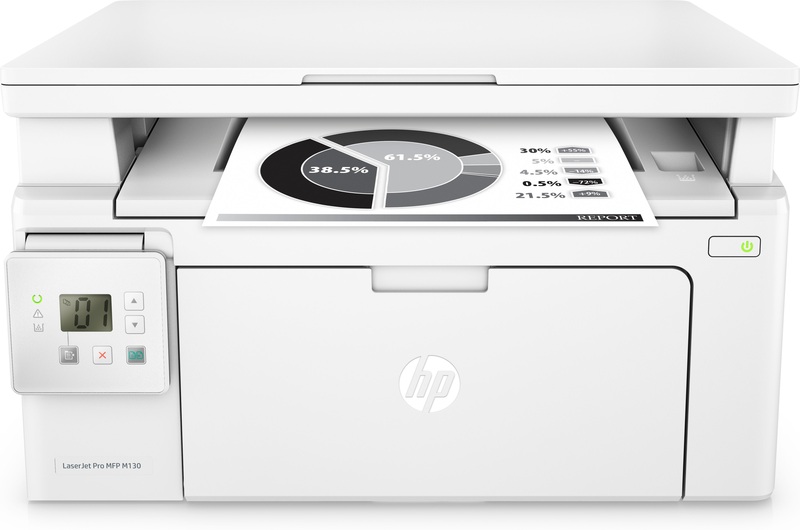 The HP LaserJet Pro MFP M130 would make a great addition to any small office or work place. HP’s excellent LaserJet range has usually focused exclusively on serving larger offices, but this more compact design (and lower price point), allows for small business, office spaces with up to five users, or even home office workers to invest in a reliable and high quality LaserJet printer. This printer may not look all that beautiful with its boxy design, but it is relatively small considering how fast and efficient it is. It measures 398 x 388 x 482mm and weighs approximately 8kg. It comes in a white with a 150-page input tray at the base, which projects another 105mm out of the printer and if you buy the M130fw model there’s also a 2.7-inch touch screen control panel for ease of use. The HP LaserJet Pro MFP M130 has a speed of 22ppm and 600dpi resolution, and you can print straight from you iPhone, or iPad with AirPrint while HP devices can use the ePrint wireless feature and other devices can use the Google Cloud Print. There’s also a USB port and this all in one machine can print, scan, copy and fax all from one place. As a mono laser printer, you cannot print colour on this machine, although there is a 600dpi colour scanner. The main disadvantage is that although there is a variety of models available in this range, the cheapest does not provide wireless connectivity, making it less useful for those with more than one printer user. If you’re planning on using this printer between a number of people, then there are alternatives available in the HP M130 range.